Developed to naturally and gently wash baby clothes, cashmere, wool, lingerie and any hand wash clothing. 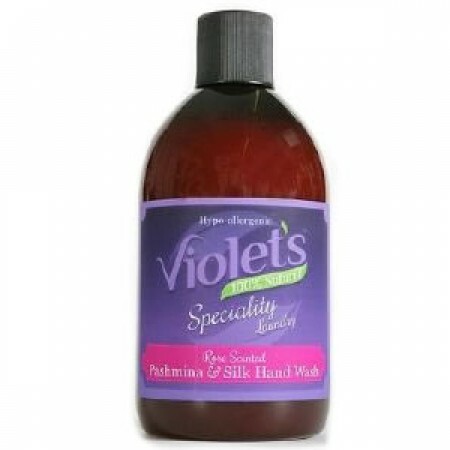 Look after your delicates with this lovely hand wash formula from Violets laundry. Naturally scented with rose geranium and lavender essential oils. Add 2 capfuls to 4 litres of water and wash your clothes, rinse throught and dry flat.